Examples, solutions, videos, worksheets, and activities to help PreCalculus students learn about exponential and logarithmic functions. 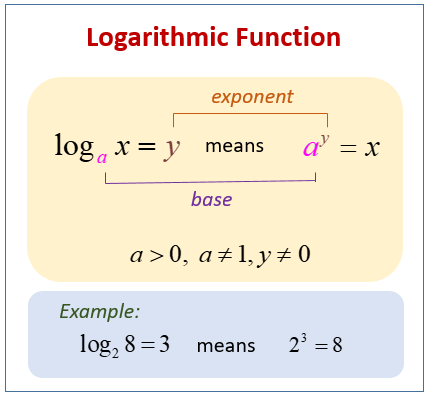 The following diagram gives the definition of a logarithmic function. Scroll down the page for more examples and solutions for logarithmic and exponential functions. How to solve exponential and logarithmic equations? Convert exponential functions into logarithmic functions.